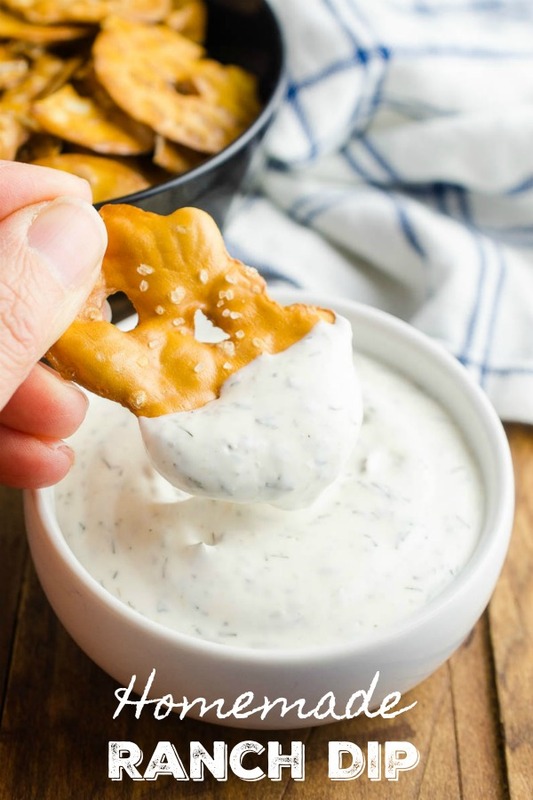 This Ranch dip recipe is creamy and easy to make. 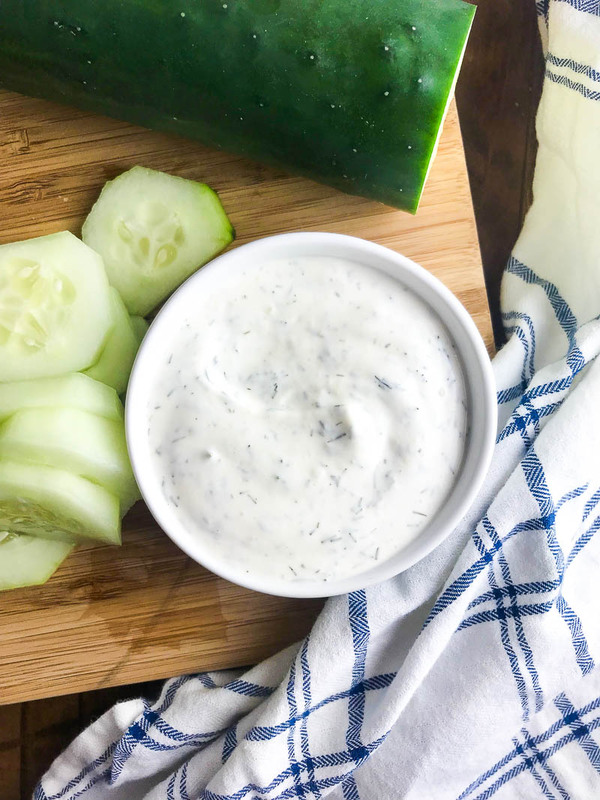 This homemade ranch dip with mayonnaise, sour cream, vinegar and dill, is perfect for all of your dipping. Maybe it is just my friends and family, but it seems like creamy ranch dip is the “it” dip. Burger spread and fry dip is pretty good too but there is just something about ranch. Whenever I go out to dinner with friends, chances are there will be some ranch at the table, and we’re not always eating salad. It turns out that ranch is great with french fries, chicken tenders, burgers, veggies, bread and even pizza. We don’t only eat ranch at restaurants either, it is also pretty popular at home. But with so many varieties available at the grocery store, which one is the best? Let me make things easy for you, don’t buy any. Make it yourself. You probably have most of the ingredients at your fingertips each and every day. Some people may suggest that it is really easy to just buy a bottle of ranch or one of those ranch packets. And it is but it is also really easy to make creamy ranch dip at home. I started making it when I reached for a bottle of ranch for some fries I was making for dinner and I didn’t have any. I don’t know about you, but I need ranch with my fries. 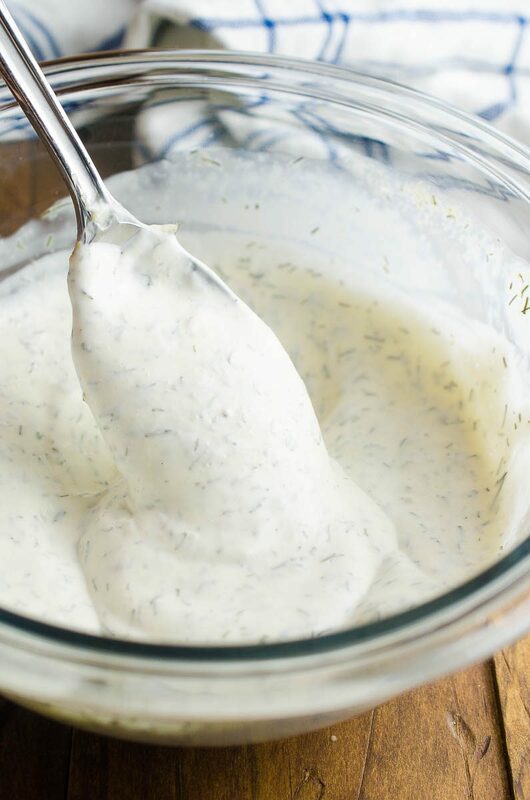 What ingredients do you need to make the best homemade ranch dip recipe? 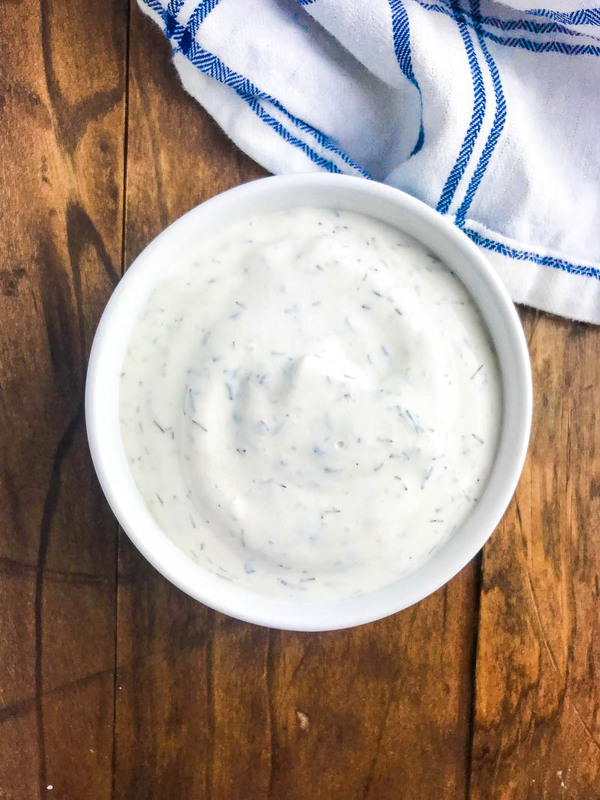 Knowing the gist of the ingredients in ranch, I scoured the fridge and pantry finding mayo, sour cream, dill, granulated garlic, vinegar and salt and pepper. A quick mix of all the ingredients, and 30 minutes in the refrigerator to let the flavors mingle and voilà! I had ranch dip just in time for dinner. 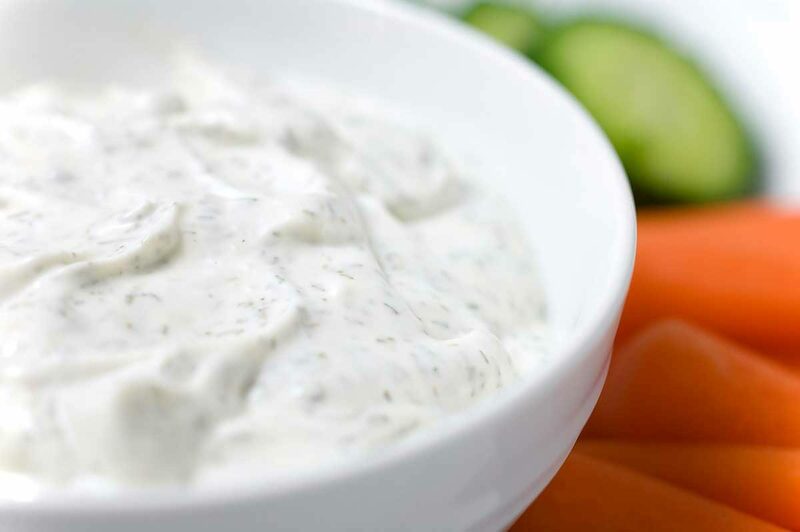 Is there a difference between ranch dip and ranch dressing? 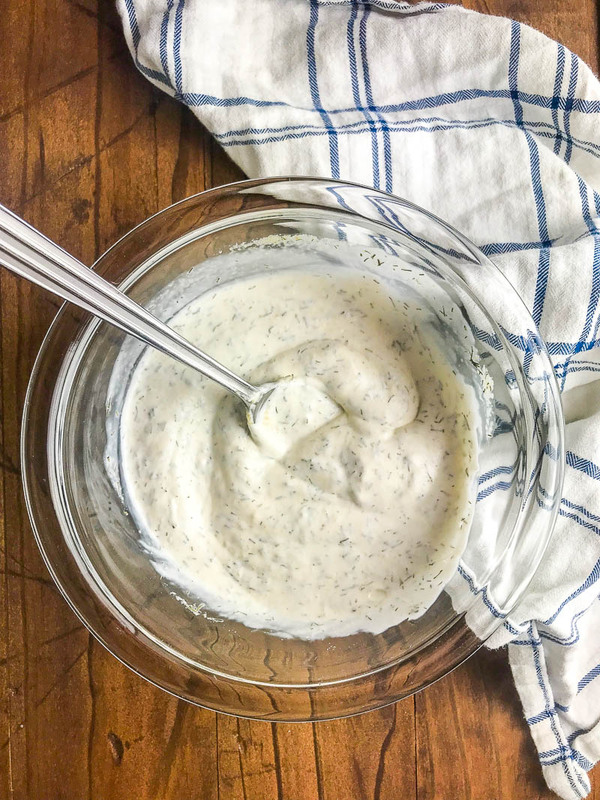 Ranch dip, like this version, is often thicker than traditional ranch dressing. Instead of using buttermilk, sour cream is used which helps make it a little more dip-able than ranch dip. What is good with ranch dip? I use creamy ranch dip for just about everything. You can dip chicken wings it it. Jojo Potatoes, and potato chips. I also use serve it with veggie trays at parties and as a dip for chips. What are you favorite ways to use ranch dip? 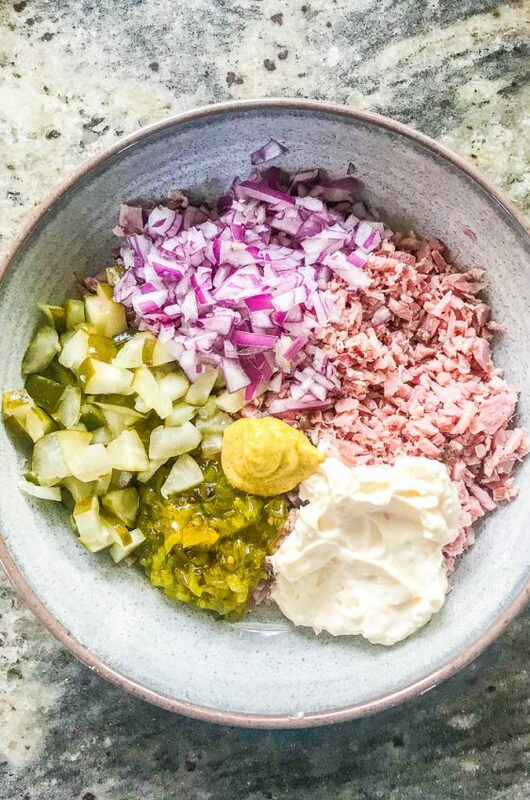 Stir all ingredients together in a bowl. Chill for 30 minutes to let all the flavors mingle. You are so welcome Dee! Hope you enjoy this and the jojos as much as we do! 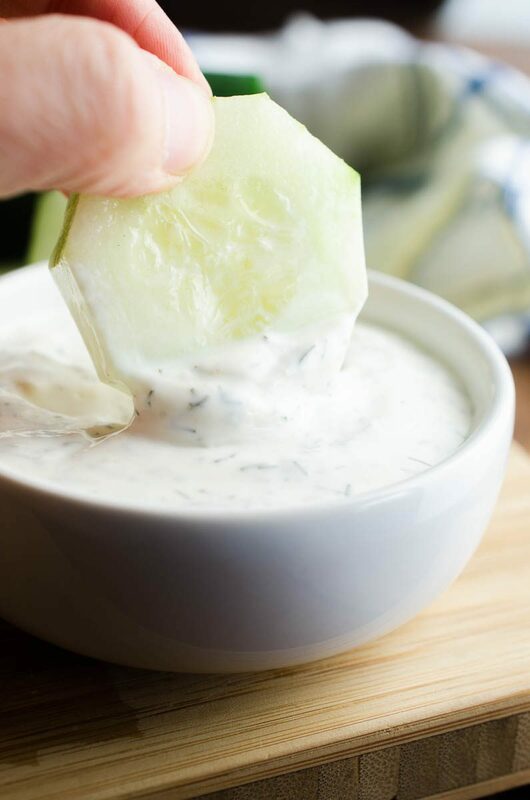 Love this dip – love that it has dill! Thanks for sharing. Can’t wait to make it again. Dip, baby, dip! 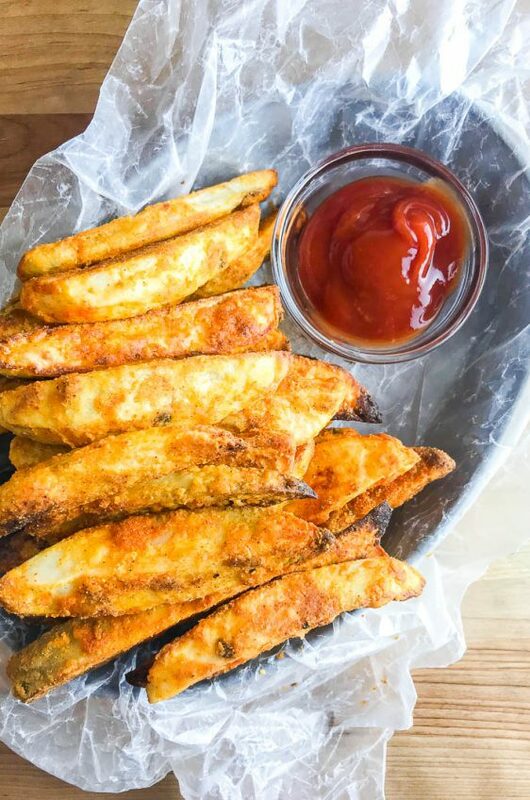 This sounds like the perfect dipping sauce for veggies or chips, or even wings! Love it! I would put this on everything! Love how easy it is, too! This dip looks fabulous! I should try it for our game night! I could eat this dip all day! So delicious!! Simple and delish, love it! Yes! 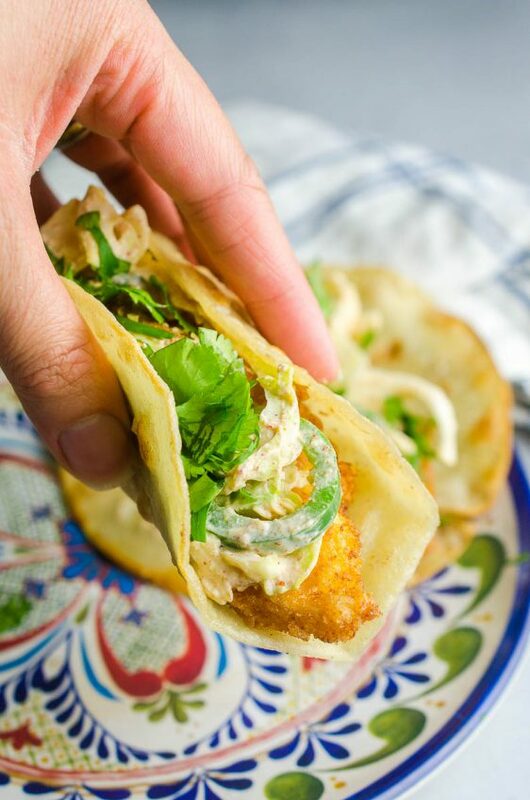 Ranch is always a crowd pleaser! I make my own ranch too, but wanted to share for other dieter’s sakes that you can absolutely not tell the difference AT ALL making it with fat free sour cream and light mayo. 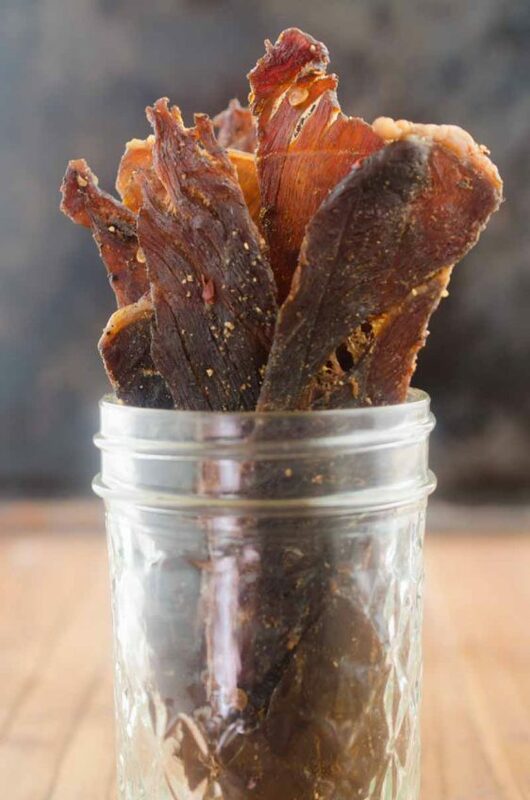 Make yourself feel a little less guilty for dipping everything in it! :-)) Play with the spices too…cayenne, basil, onion powder, etc…mmmm! If it’s too thick, add a Tablespoon at a time of water or skim milk. Keeps great for a couple of weeks. I never knew it was so easy! I’m going to have to try this as soon as I finish the bottle that’s already in the fridge. Thanks! Kosher salt and fresh cracked black pepper… to taste? or is there a recommended measuring? 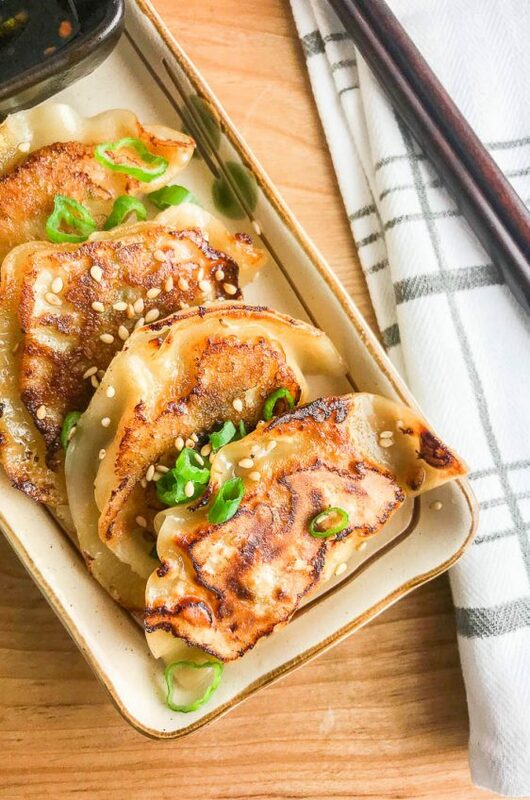 Any way to slip the name of the recipe in the title of the email? Like to replace “Your daily dish from Life’s Ambrosia” with “Creamy Ranch Dip?” The “from” indicates it’s from “Life’s Ambrosia.” Just a thought – makes finding a favorite recipe easier. Actually, they’re all favorites! Thanks! Yum! 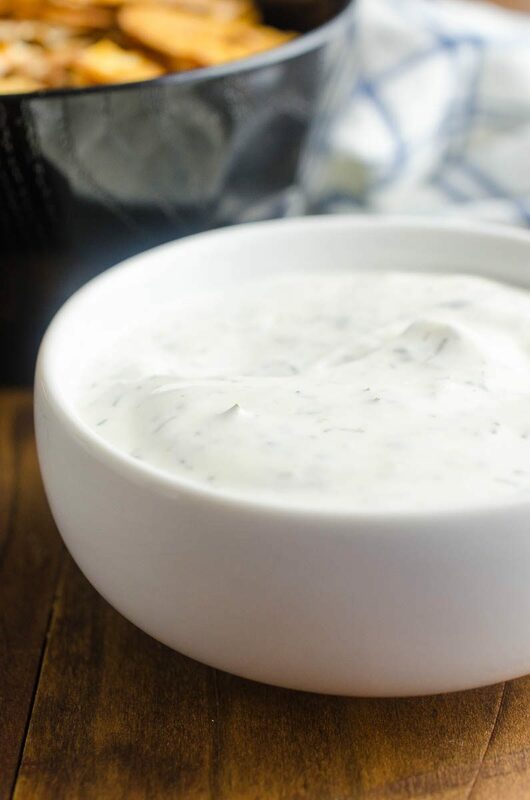 I’m planning on making some homemade ranch this evening! My recipe is a little different than yours, but I might try yours next time. Very cool, I know sometimes our hands work independently of our brain! I am guilty of that! Thanks for the recipe. It’s nice to actually have REAL homemade ranch not the stuff from the envelope. Thanks Des. Thank you for catching that Jenny! I accidentally repeated it, it’s fixed now. Is the 1 tsp. granulated garlic repeated by accident or is it granulated something else? I just wanted to tell you how much I enjoy your blog. 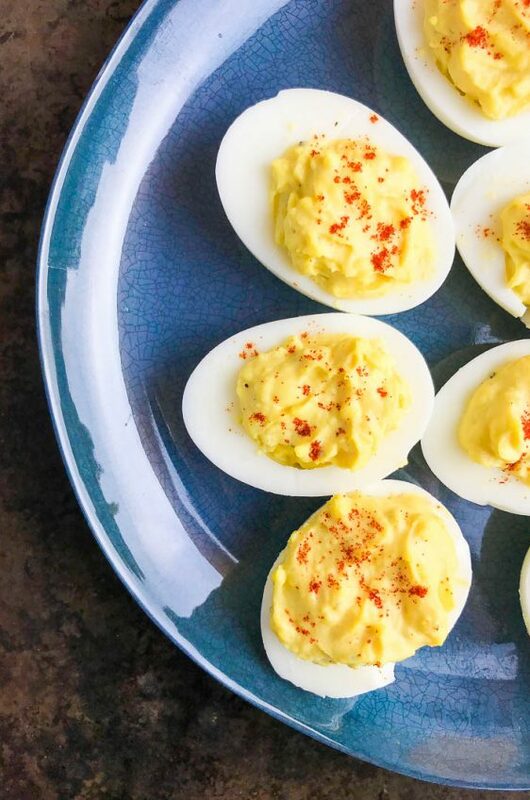 I’ve tried many of the recipes, and they are wonderful. Sounds yummy, and SO easy! Thanks!